In its most basic incarnation, a heat gun consists of a heating element, motor and fan. The fan draws hot air from the heating element and directs it through the nozzle of the tool. 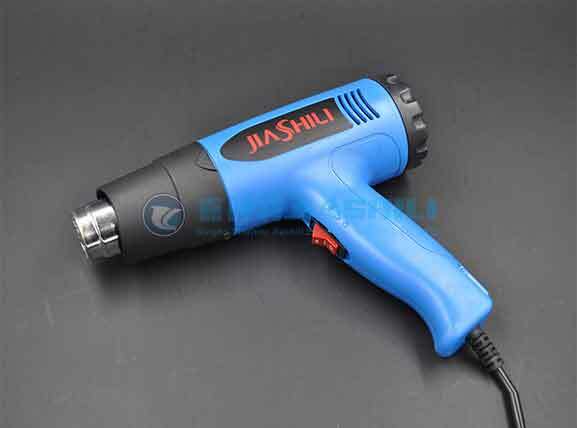 Because of their relatively simple construction, Adjustable Heat Gun are amongst some of the most affordable power tools available, and due to the wide range of applications they can be used for they make a useful addition to any tool kit. Stripping paint, shrink wrapping, car wrapping, heat shrinking cable sleeves, removing labels & adhesives, thawing frozen pipes, loosening nuts & bolts, welding plastic and tarpaulin, drying out timber, waxing surfboards… there are a long list of jobs that can benefit from a Digital Display Heat Gun or hot air tool. NextWhy do soldering iron need maintenance?